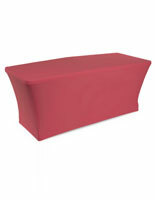 This Modern Table Skirt Provides Customers a Fast and Easy Way to Adorn Old Tables! 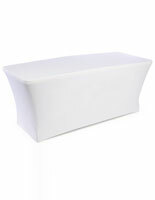 Tablecloths and Covers with Durable Designs Add Professionalism to Your Booth! 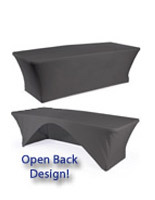 Impress Trade Show Attendees with This Affordable Table Skirt! 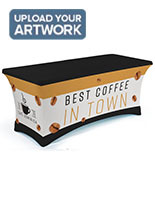 This table skirt, also known as a trade show tablecloth, is a great way to give an exhibit booth a finished touch. 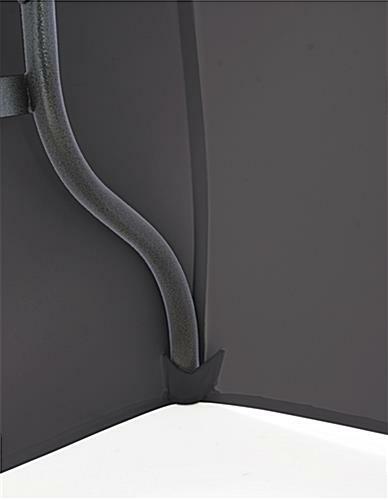 Simply stretch the cover over a table, and hook the table feet into the sewn-in pockets. 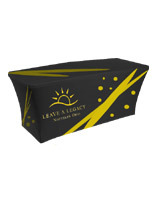 This table skirt is sold without custom printing or graphics, which allows users to personalize their own presentations. 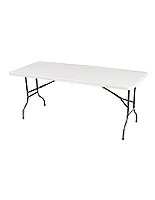 As a result, this fitted tablecloth is also re-useable for other events, functions, and occasions. Save time and money with this spandex throw! The table skirt is available in blue, red, green, and white, as well. 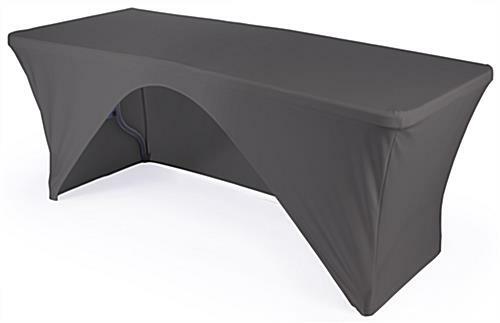 This cover, table skirt is designed to fit six foot tables. 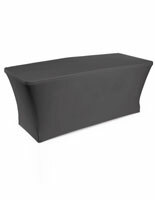 The fitted cover is made from a stretchable fabric to eliminate wrinkles and provide a clean presentation at trade show events. 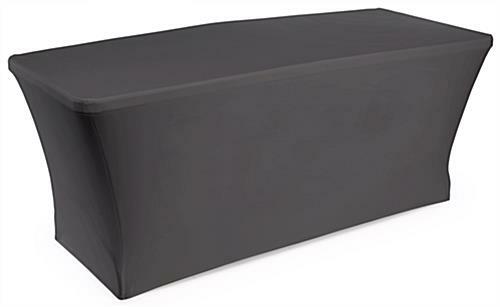 This economical linen, table skirt covers three sides of a table, leaving the back open for staff member seating or storage of additional materials. 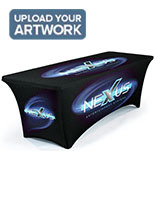 A stretch tablecloth is an ideal way to create a professional presentation and attract the attention of patrons.